Jody's Crafty Creations: A couple of small things..
A couple of small things..
Just a couple of small things I've done this week. 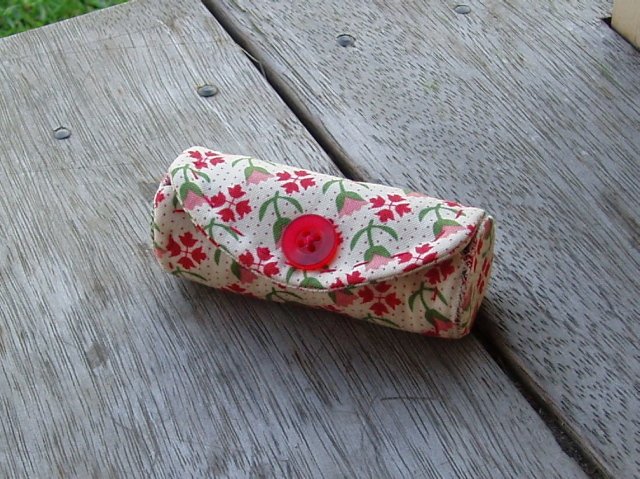 After receiving my book 'In the life of a bag' by Anni Downs, I just had to make something from it. So I whipped up this lipstick case in no time at all. Cute isn't it - and usefull! 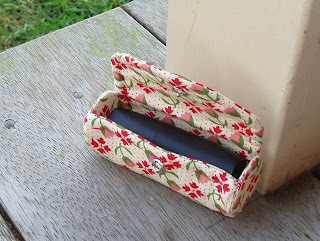 Very easy to make and will make a great mother's day present. (hope your not looking mum!) I'll have to make a few more of those. 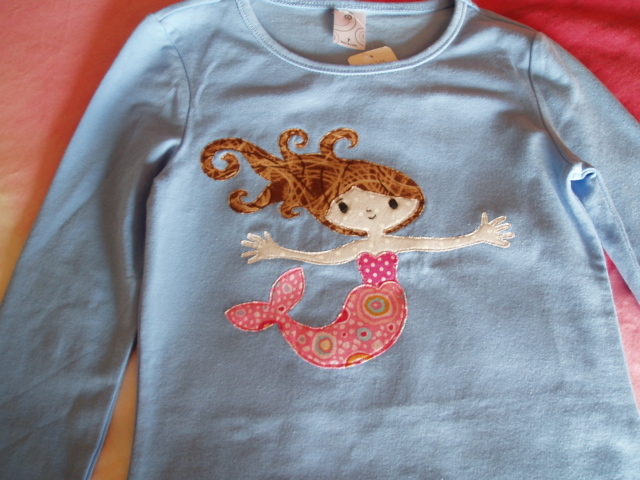 I also did this little applique on a top for my daughter - as it's her birthday next week. The design is by Kellie Wulfsohn from 'Don't look now!' and is done using raw edge applique. The original design was for a cushion and was in Homespun magazine (Vol 11.12) so I decided to reduce the size and put it on a long sleeve top. these are just gorgeous Jody - how clever are you with the machine applique!! These are great! just wondering if you could send/post the instrustions for how to do the lipstick case! Guess who just turned 7?